Earlier this Summer, Michael and I enjoyed a long weekend getaway in New York City! We visited some of our very favorite foodie hangouts, and we discovered some fabulous new-to-us restaurants along the way. We had a fun weekend exploring one of our favorite cities, which I'm excited to share with you starting today. 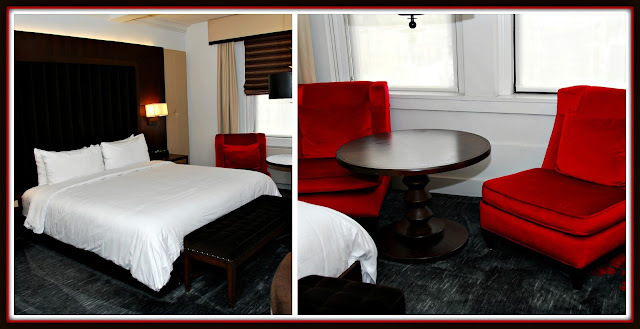 We spent the first half of our trip at the St Giles Tuscany hotel, located in the city's Midtown Murray Hill neighborhood. 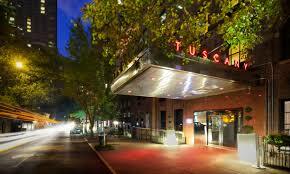 The Tuscany is tucked away on a quiet street between Lexington and Park Avenue. It was a perfect centralized home base for exploring the city. We found it very easy to grab a cab in minutes every time we left the hotel to go exploring. 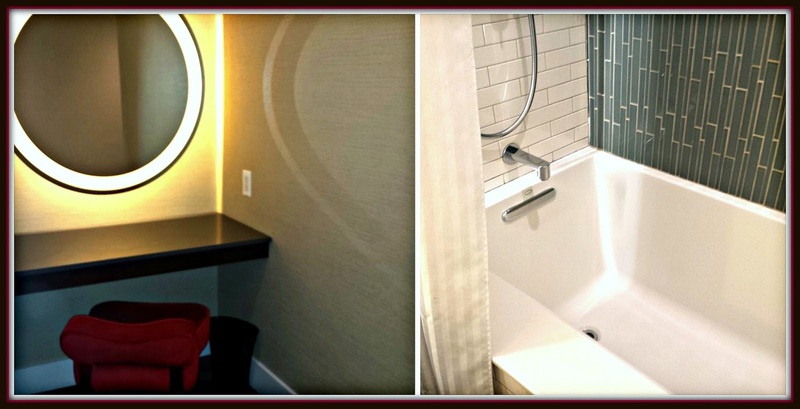 We loved the modern vibe of the lobby, and the front desk staff was friendly and welcoming. The check-in process was quick and simple, and we were on our way to our room in no time. We loved the extra security feature that required insertion of our room key into a slot in the elevator before we could go up the elevator to our room. We stayed in a spacious 450 square-foot Deluxe Studio Room that felt more like a studio apartment than a typical cramped hotel room. It featured a hardwood entryway that led to the spacious bedroom/sitting room area. We loved the red, black, and white color scheme...and the comfy King bed! The sitting area featured two plush chairs and a small coffee table, which was nice for relaxing and reading. All rooms at The Tuscany include comfy robes and slippers, convenient iPhone/iPad docking stations, and a 46" high-def flat-screen TV. I especially enjoyed the spacious bathroom area, which featured a lit vanity area in an alcove just outside the main bathroom. This handy feature let me put on my makeup and style my hair while Michael took a shower -- saving us lots of time each time we got ready to go out! Our first night in town, we hopped in a cab and made our way to Jazz at Lincoln Center inside the Time-Warner Center at Columbus Circle. Performing that night was Wynton Marsalis and the immensely talented Lincoln Center Jazz Orchestra. They perform inside the beautiful Frederick P. Rose Hall aka The House of Swing. Featured that night was the music of Miles Davis to commemorate what would've been this jazz legend's 90th birthday. 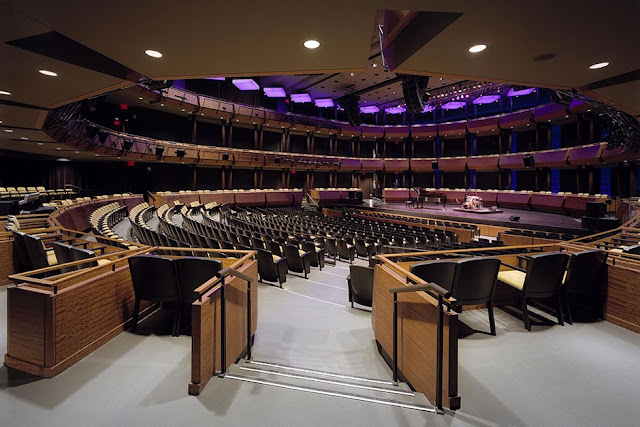 If you're a jazz fan, a visit to Jazz at Lincoln Center is a definite must! After the show was over, we were feeling hungry. We discovered that just outside of and around the corner from Time-Warner Center is the Mandarin Oriental New York. Located adjacent to their elevator-access-only lobby is the Mandarin Oriental's elegant Lobby Lounge -- located 280 feet above Columbus Circle and Central Park South. With tons of floor to ceiling windows and cushy sofas, it's a perfect spot to enjoy late-night cocktails and delicious food while enjoying amazing city views! We were feeling tired, so we opted for a pair of non-alcoholic house-made craft sodas to pair with our appetizer duo. I selected Thyme's Up, while Michael opted for the Mandarin Sunrise. Thyme's Up featured tart lemon and lime juices, lemongrass simple syrup, tonic, and fresh thyme...so refreshing! The colorful Mandarin Sunrise included orange and lemon juices, orange blossom, and grenadine. It packed a perfect citrus punch. With beverages this good, we never missed the alcohol! For our appetizers, we selected the beautifully presented Dim Sum Bento and the Crispy Fried Prawns with Yuzu Dipping Sauce. The bento featured a variety of Asian dumplings, and the fried prawns were plump and sweet. We opted to share a perfectly executed Turkey BLT and Warm Apple Pie dessert. The sandwich featured crispy bacon, smoked turkey, and creamy avocado. The portion size made it perfect for sharing. The apple pie was served with vanilla ice cream, decadent whipped cream, and a delicious caramel sauce to drizzle on top. 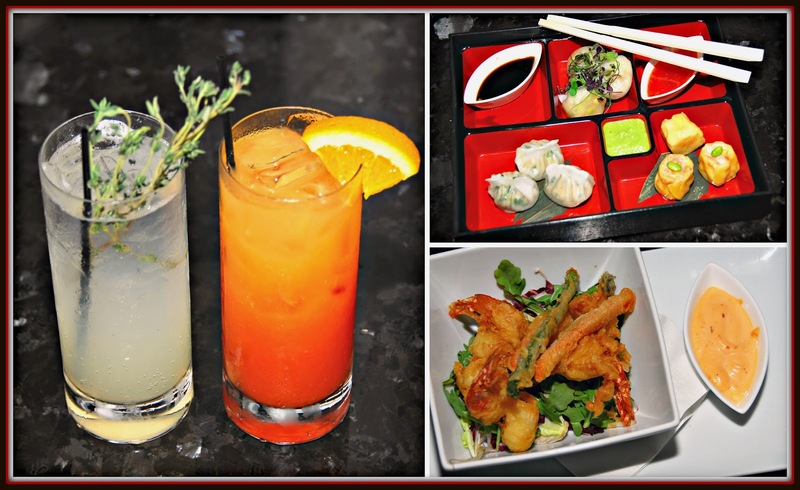 We were very impressed with the quality of the food at the Mandarin Oriental's Lobby Lounge! They also serve Afternoon Tea daily. It was getting late, so we made our way back to the Tuscany...where we fell into our comfy King bed and slept like babies. The next morning, we slept in for a bit. 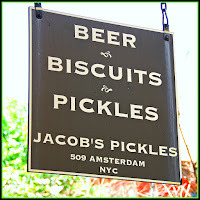 Then, we made our way to Jacob's Pickles on the Upper West Side -- our favorite place to have brunch in NYC. 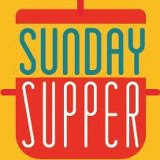 The vibe is casual, and the food is comforting and perfectly prepared. 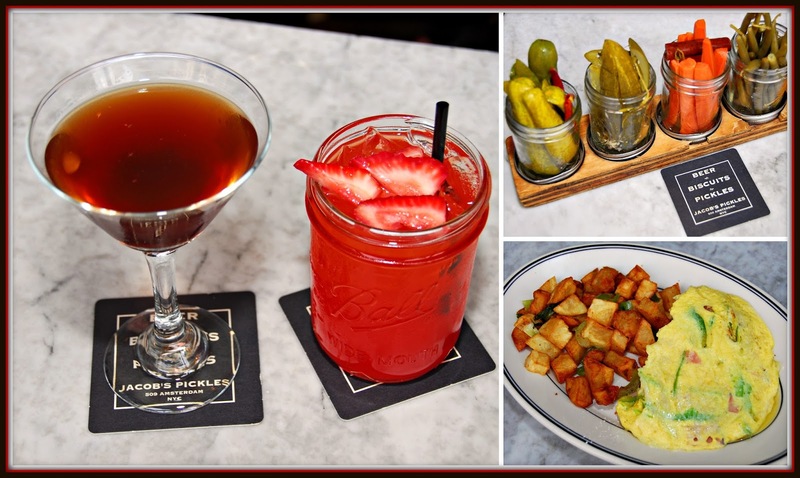 We started our brunch with a pair of cocktails and a sampler of Jacob's signature house-made pickled vegetables. I had the Jam Jar, which is the perfect Summer cocktail. It contained house-infused strawberry Farmer's Gin and fresh-squeezed lemonade...and it even came served in a jam jar! Michael opted for Mitchter's American Manhattan, a quintessential NYC cocktail. While we sipped our cocktails, we munched on tart and tasty Dilly Green Beans, Sweet and Spicy Carrots, Special Sour Cukes ,and Hot Sour Cukes. Our brunch was off to a fabulous start! 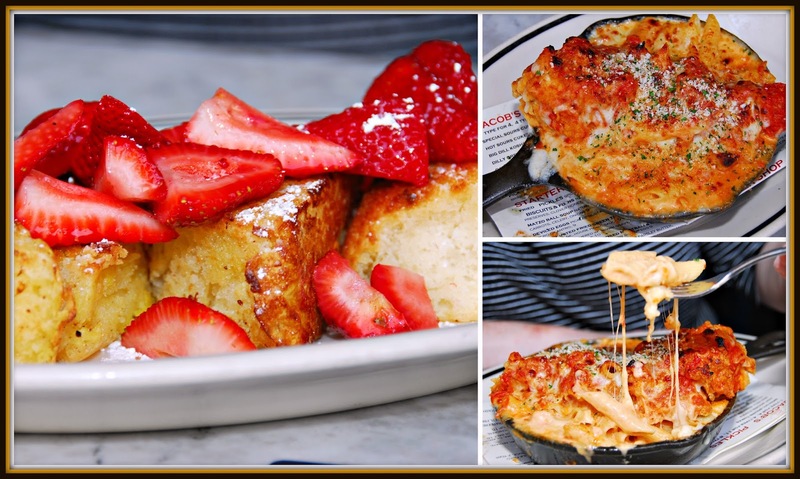 We selected a trio of brunch main dishes to share: a Western Cheese Omelette, Jacob's signature Biscuit French Toast with Strawberries, and their seasonal Chicken Parmesan Mac & Cheese. Both are divine...and perfectly prepared. The French toast is tall and fluffy, made from Jacob's house-made biscuits. Then, they're topped with fresh strawberries and maple syrup. Heaven on a plate! The Mac & Cheese was the perfect savory counterbalance to the sweet French toast. It featured a skillet of cheesy mac and cheese topped with breadcrumbs, parmesan cheese, and breaded chicken breast topped with tomato sauce and more parmesan. It was rich and decadent...and we couldn't stop eating it! 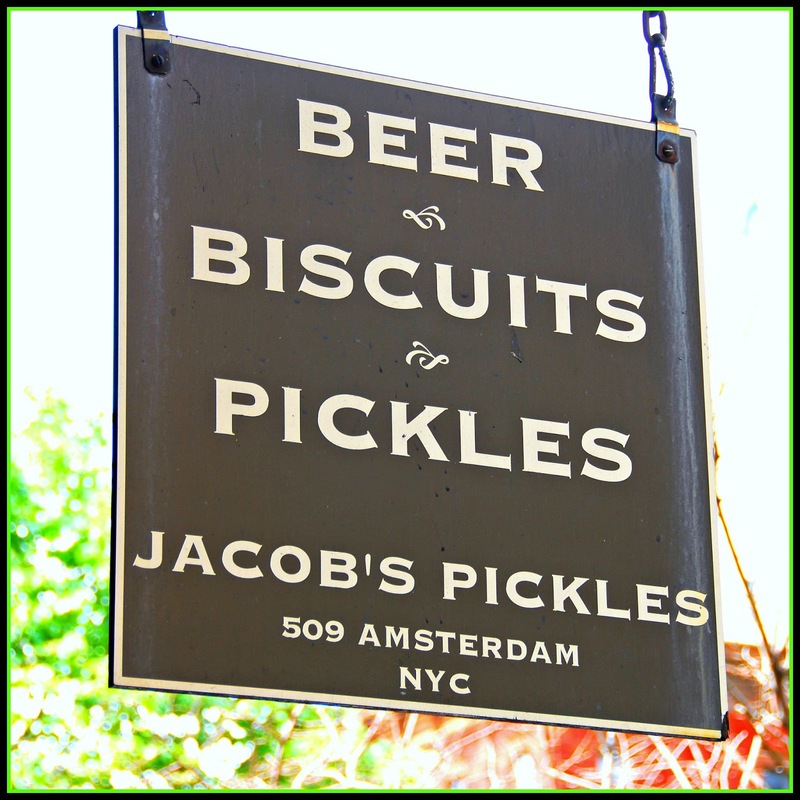 No matter where you're staying in the city, a visit to the Upper West Side to eat at Jacob's Pickles must be on your dining itinerary. You can thank me later...just go! 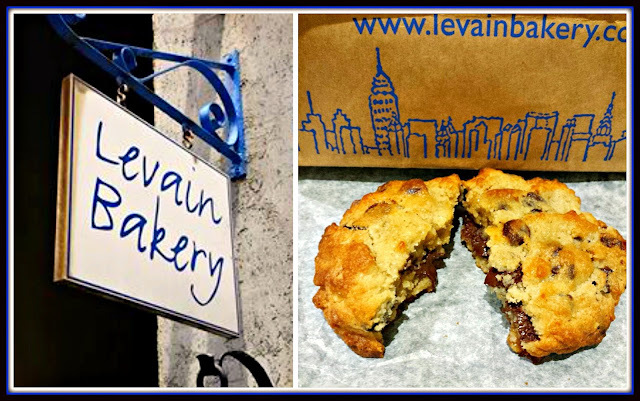 As a bonus, you're only a short 10-minute walk from the very best chocolate chip cookies on the planet at Levain Bakery! It's not just my opinion that Levain has the best chocolate chip cookies you'll ever eat...the lines outside the tiny bakery prove that lots of people love Levain Bakery cookies. The wait is worth it, though. You'll be rewarded with warm chocolate chip cookies that are the size of three normal cookies. They're crispy around the edges, slightly undercooked in the center, and jam packed with melty chocolate chips. This, my friends, is chocolate chip cookie nirvana!! FYI -- they don't accept plastic, so come with cash. Each cookie is approximately $5. 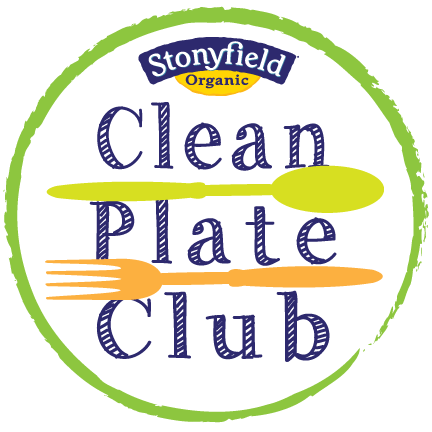 If chocolate chip isn't your thing (! ), Michael swears by their oatmeal raisin cookies. After we bought our cookies, we made our way to St. Patrick's Cathedral to check out their recently completed restoration project. 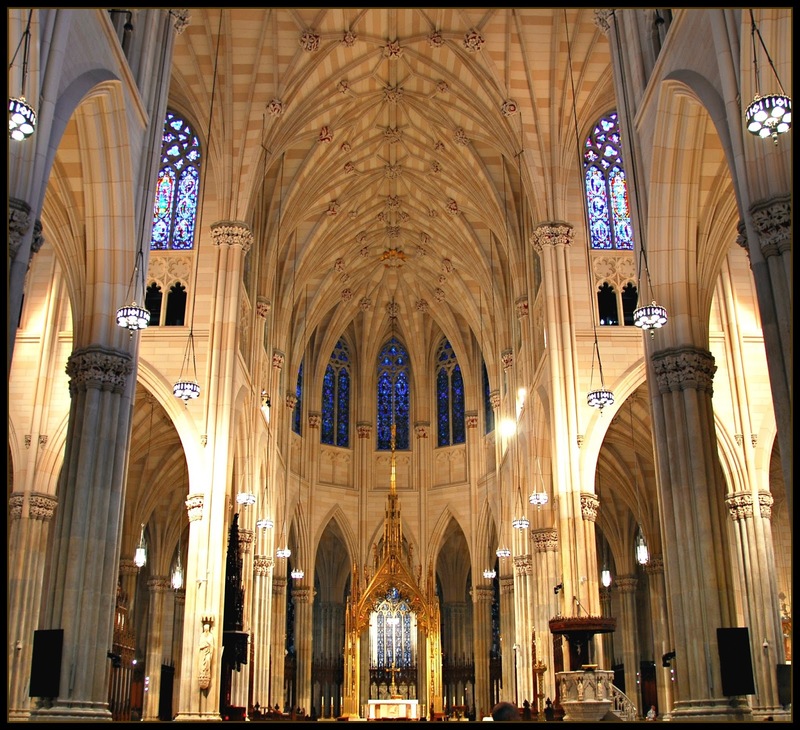 St. Patrick's Cathedral was originally built in 1879, and it's an iconic New York City landmark. St. Patrick's recently underwent a $175 million multi-year restoration project that was completed last year. The restoration is amazing -- the Cathedral is absolutely gorgeous! 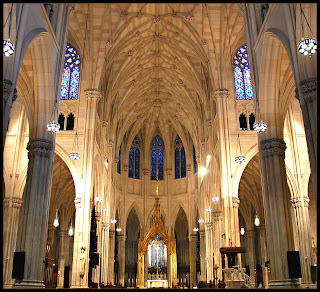 St. Patrick's Cathedral is open to the public to visit for free when Mass isn't being said. It's such a peaceful respite in the hectic city. We loved looking at the gorgeous stained glass windows, the large and ornate altar, and all of the gorgeous art. Michael and I just sat and took it all in. If you find yourself at Rockefeller Plaza, St. Patrick's is a short walk away! Before we knew it, it was late afternoon...time to head back to The Tuscany to get ready for a very special date night. 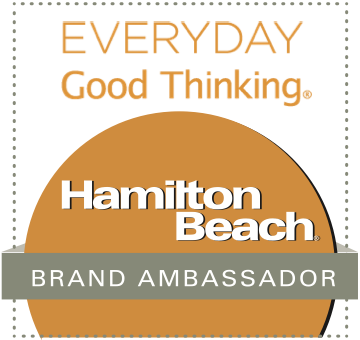 I'll be sharing more about that next week! I want to share a few more great things about The Tuscany with you. This Summer, they're offering a a Suite Summer in New York City package -- but you need to act fast! Through September 5th, this package includes accommodations in a Loft Suite or Corner Studio King room, full American buffet breakfast daily, and even free WiFi! While The Tuscany doesn't have a restaurant on site, Beer & Buns is located next door at sister property St Giles Court for your breakfast. 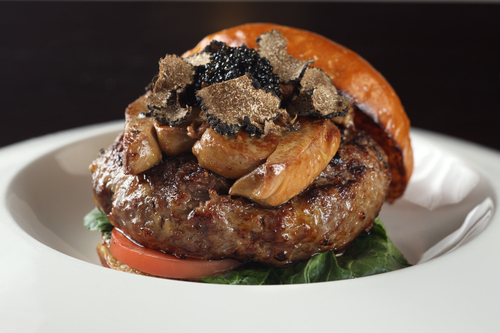 It's also a great place to grab a domestic or international beer and enjoy a variety of creative burgers and sliders. One last thing...there's a great little convenience store just around the corner from The Tuscany. It's a very quick 3-minute walk and offers a wide range of snacks, beverages, and other necessities you may have forgotten to pack. I had left my phone charger at home, and I was able to get one there -- even at 1100 pm! Disclosure: The St Giles Tuscany provided us with a hosted two-night stay to facilitate inclusion in this feature. The Mandarin Oriental New York provided us with food and beverages at their Lobby Lounge, and Jacob's Pickles hosted us for brunch. All opinions expressed are solely my own. Unless noted otherwise, photographs are copyrighted by Michael K. Garcia. 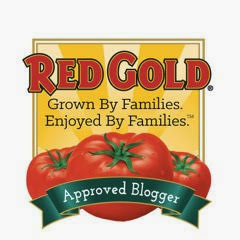 They may not be copied or otherwise used without prior approval.